Ford said Wednesday it expected to post a $112 million loss in the fourth quarter of 2018 as the automaker implements a massive restructuring in the United States and Europe. The second-biggest US automaker said it would still post a profit after charges stemming from the drive to cut $11 billion in costs. The firm sees adjusted profit of 30 cents a share during this period, according to the statement, less than the 32 cents anticipated by the markets. For the full year, Ford will post a net profit of $3.7 billion, less than half the 2017 result. Adjusted earnings per share are expected to be $1.30 across the year, right at the lower end of its $1.30-1.50 estimate in October. "Over the last 19 months, we have worked to reshape and transform our company—sharpening our competitiveness, taking actions to improve our profitability and returns, and investing in our future," Ford CEO Jim Hackett said in a statement. Ford last year announced it would halt production of almost all sedans and small cars in the United States to save $11 billion, and last week announced a massive restructuring of its European operations to boost profitability, including thousands of potential job cuts. It might also scrap the Fiesta, Focus and Mondeo models in Europe, where they are popular. 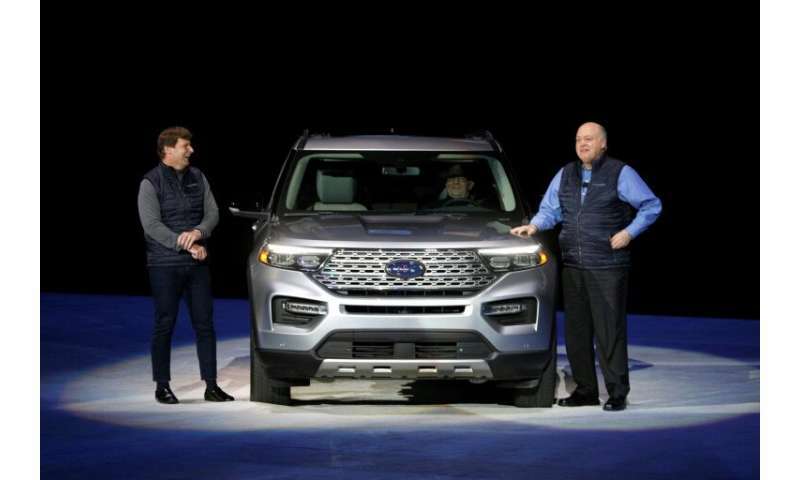 Jim Farley, Ford's president of Global Markets, said, "We are now beginning to see the results of our capital shift away from traditional sedans to trucks and SUVs with new utility nameplates globally." The earnings figures were released just a day after the automaker announced a global alliance with Germany's Volkswagen to build commercial vans and pickups starting in 2022. The alliance follows others in the auto industry, which is facing rising costs amid the drive to develop new technologies, as well as changing consumer preferences. Company executives heralded the new alliance with VW as a cost savings move that would boost profitability by 2023. 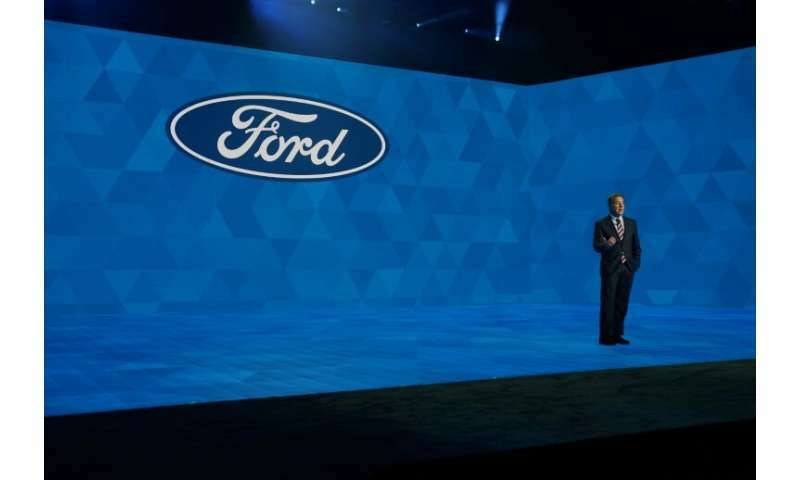 Ford is aiming to post better financial results this year than last but warned Wednesday of potential headwinds: Brexit, tariffs, currency fluctuations, salary negotiations and the health of the Chinese and European economies all could hit the bottom line. Ford and VW are joining forces to develop commercial vehicles and also will "investigate collaboration on autonomous vehicles, mobility services and electric vehicles and have started to explore those opportunities," the company said. The transformation push comes at a time when the automotive sector is undergoing major changes. Autonomous and electric vehicles have been expensive to develop and require either new factories or a complete modernization of existing ones. Automakers have had to contend with those investments, the returns from which could be years away, while also maintaining a fresh line-up of vehicles for the present-day market. Edmunds analyst Jessica Caldwell cautioned that VW and Ford would have to forge a deeper partnership if they were to realize the full benefits of an alliance. "Cutting costs by sharing vehicle architectures and manufacturing facilities is just table stakes in this new world and is a nice place to start," Caldwell said. "However, the key to success will be if Ford and VW can help each other fend off the upstarts and become leading forces in electric and autonomous vehicle technology." Ford shares lost more than six percent by the end of the day.